Why Aren't Job Seekers Applying to Your Organization? Many job applicants have complained that the hiring process is tough, but it can be equally difficult for the organizations to find motivated and qualified applicants. With all of the different avenues for an organization to post job opportunities, it may be surprising that so many companies are still finding themselves desperate for applicants. But we're seeing more and more of the following trend: a company posts a job, they wait for applicants, they reach out, they wait some more, and...nothing. Your pay is competitive. You've invested in a snazzy selection system. You've advertised on all the top job sites. 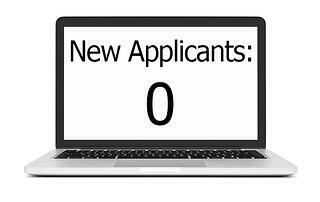 So, what do you do when people simply aren't applying to your job? 1. First, research the market. Did you scoff at this suggestion? After all, who knows the market better than the top people in it? But this mindset can close you off to the larger trends that are facing your field. For example, do you know the unemployment rate for the area where you're hiring? Nationwide, less than 5% of the population is looking for a job. Is your target hiring number realistic when so few people are actively searching? What about the public opinion of the role, or your specific organization? What are the social media sites like Glassdoor or Yelp saying regarding employment with your company? All of these factors can influence your rate of interested applicants, especially if there is local competition. Starting here will give you a good idea of how to calibrate your expectations. 2. Then, analyze your recruitment process. A lot of struggling companies want to jump right to the assessment process, but it's important to first clarify that recruitment stage. How are you attracting applicants in the first place? With unemployment rates so low, it's no longer enough to simply have a job opportunity available; organizations must target their recruitment efforts and understand how to highlight the most attractive and competitive features of the job. Advertising and collecting resumes on online job sites is a great way to be seen by many applicants, but don't forget: this also makes it easier for the average applicant to apply to a multitude of jobs each week with little investment or effort. Don't fall for the false promise that more exposure will automatically lead to more or better hires. 3. Lastly, take a look at your selection system. If you truly feel that you understand your target market, and you've tweaked the recruitment process to maximize a return on your efforts, then you've likely solved most of the issues related to low applicant interest. However, if you still can't seem to drum up interest, your last step should be to examine the selection system you're using. By now, most applicants are accustomed to an online assessment process, but the quality of that process can vary. If you're using assessments, make sure they are face valid. Face validity means that the assessment asks questions and focuses on topics that make sense for the given role. When an applicant sees the value in an assessment, they are more likely to have a positive reaction to the process. And while test length is always a voiced concern, don't let fears about testing time dictate the assessment that you use. After all, a potential applicant who is deterred by an hour-long assessment is probably not the most motivated or adaptable candidate. It can be a frustrating situation when your applicant turnout is low, but you can remove some of the mystery by conducting your own research on the process. 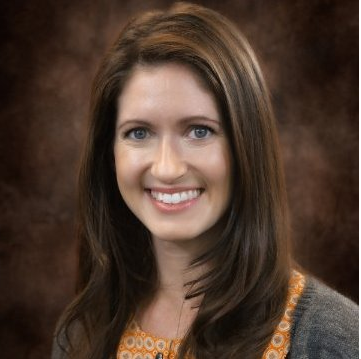 Jaclyn is a Consultant based out of Fort Collins, Colorado. Her areas of expertise include testing, assessments, and project management. Jaclyn has contributed to the development, validation, and implementation of assessments with various clients. She has managed, analyzed, and presented data analyses for content and criterion validation studies.